బుర్రకథ రిలీజ్ డేట్ ఫిక్స్ ! Stylish Star Allu Arjun and maverick director Puri Jagan are going to start work on their project ‘Iddarammayilatho’ this month. The movie was originally supposed to be shot in Spain but the European country is now out of the equation. A suitable replacement for the same is being finalized. Amala Paul and Richa Gangopadhyay are the heroines in this movie and Bandla Ganesh is the producer. Shawar Ali will be seen as the main villain of the movie while Kota Srinivasa Rao is going to be seen as a politician. 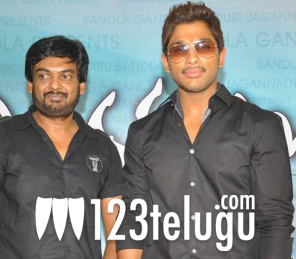 The movie is going to be a love story and Allu Arjun’s characterization will have typical Puri Jagan flavour.